Who is an extraordinary Jew you know? 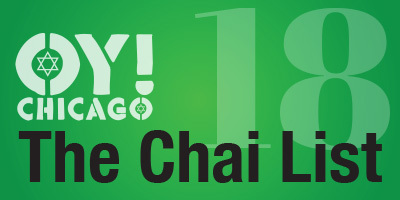 We are looking for young leaders, humanitarians, educators, social activists -- the young adult movers and shakers of Chicago -- to recognize on our annual Double Chai in the Chi: Chicago's Jewish 36 under 36 list. Presented by YLD and Oy!Chicago, Double Chai in the Chi shines a spotlight on the faces of Chicago's Jewish future and recognizes the amazing contributions of our generation. People who are making a difference through their work, who give back in their free time, who innovate and inspire, who are leaders in their communities and the Jewish community or are simply Jews we should know. Nominees must be ages 22-36 and living in the greater Chicago area at the time of nomination. Honorees will be selected based on the quality -- not quantity -- of their nominations. Got someone in mind? Fill out this form before May 26 at 12pm. You will receive an email confirming your nomination. When will the list be announced? The 36 honorees will be announced and profiled on Oy!Chicago on July 19 and recognized at YLD's WYLD party in August. To be the first to know, like Oy!Chicago and YLD on Facebook. 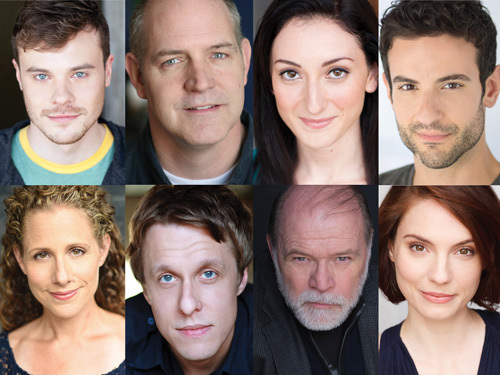 The cast of "A Splintered Soul." A Splintered Soul brings a unique interpretation to the traditional Holocaust stories shared on stage. The play, which runs from April 20-May 29 at Stage 773 in Chicago's Lakeview neighborhood, explores the complicated relationship between faith, tragedy, and moving forward in a San Francisco community of Polish immigrants in in 1947. The play, written by Dr. Alan Lester Brooks, centers around the life and decisions of Rabbi Simon Kroeller, a pillar in his newly established American community who is reeling from the loss of his family in the war in Poland. His journey is a story that many know, but is not often talked about: the plight of the survivor and the anguish entailed in moving on from such unspeakable tragedies. It's an affecting play that causes the characters and audience to engage in the struggle between questioning and faith, responsibility and anger, and how morality can shift and change in the wake of nearly impossible experiences. The plot and characters were originally inspired by stories from Brooks' wife's family and his own time serving as a physician in the U.S. Navy in Vietnam. The impression that the war-torn landscape left on him was inescapable, and resulted in this work that he is proud and passionate to continue evolving, hopefully for audiences all across the country. With productions in Los Angeles, New York, and now Chicago, the play's broad appeal reaches beyond the Jewish and immigrant communities to communicate themes connecting with the survivor in everyone. The story is familiar, but it takes on a more expansive quality as many of the themes ring as true today as they did over a half a century ago. "This is a Holocaust story, it's an aspect of our collective history; we have context for it," said Keira Fromm, director of the play and a Jeff-award nominee. "What made me really curious when I read it is that it's really topical. It's a story from 1947, but it touches on themes that are alive and present in the world. It got me thinking about the stress and the tension of the refugee crisis and how we navigate the refugee crisis in this country. Right now it's an important time, and we wanting to be on the right side of history." Brooks describes the play as a metaphor for the events in Israel today. The situations and ethical dilemmas presented have universal applications. It's a story about existing in two separate, very different, worlds." The production is a beautifully collaborative process, and Fromm, Brooks, and dramaturg Sarah Illiatovitch-Goldman worked together for over a half a year making small changes to Brooks' book to enhance it for the Chicago stage. Brooks came to playwriting at the end of his career as a physician and he revels in the complex structure and the opportunity to continually revise and reinvent the characters that he knows and loves so well. "I love the creative process," he said about his work as a playwright. "I'm allowed to be a dreamer now. It's a work of love." The play strives to reach out to generations of young people who are growing up with the Holocaust in danger of fading into a more distant memory. This play strives to honor not only the victims of the historical tragedy, but also the survivors left broken in its wake. Tickets are available now at www.stage773.com, in-person at the box office at 1225 W. Belmont Avenue in Chicago, or by calling (773) 327-5252. Part of our collective Jewish responsibility is to remember. 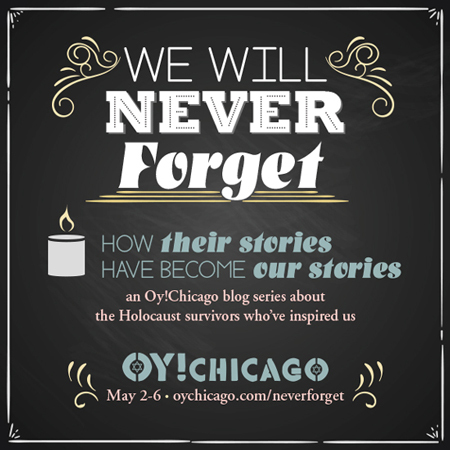 In commemoration of Yom HaShoah, Oy!Chicago is looking for guest writers of all writing experience levels to contribute to our next special blog series, "We Will Never Forget," a collection of first-person blog posts about how our lives have been impacted by survivors of the Holocaust and their stories. Whether you are the descendant of a survivor, or simply wouldn't be here today if it weren't for a survivor; whether you have made sharing a survivor's story part of your mission or had one meaningful moment when a survivor touched your life, we want to get your story -- and their story -- out there. To pitch your idea, write a paragraph describing what your piece would be about and send it to info@oychicago.comby Friday, April 15. The only other requirements are that the post should in some way relate to the theme, and that you are 21 or older. We will review your submission and let you know if we are interested in working with you and running your piece in the series, which will run May 2-6. Please note that Oy!Chicago is a volunteer-staffed website, so we are unable to pay for published submissions at this time. 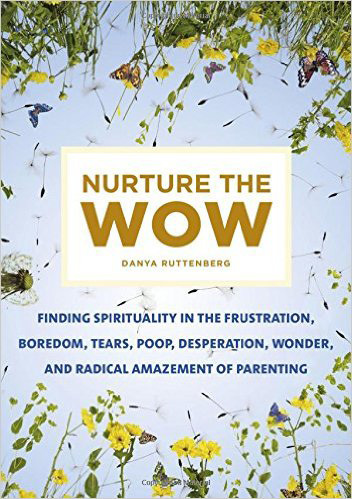 Chicago-area Rabbi Danya Ruttenberg's new book, "Nurture the Wow," recognizes parenthood as nothing less than a spiritual practice. After Rabbi Danya Ruttenberg became a mother for the first time, she found herself trying to make sense of this profound life-changing experience that we call parenthood. "With parenthood you have this whole set of absolutely transformative experiences, but it has not been informed by how we talk about what prayer is or what God is or what spirituality is," she said. Because Judaism and Jewish thought, which had sustained her for so many years, seemed at first out of touch with her new role as parent, full of sleepless nights, tantrums, and mounds of laundry. And that was when a light bulb went off in her head. "I started wondering how many theologians throughout history have been mothers?" Of course Ruttenberg already knew the answer to that question. "The answer is very few. While many of the men writing theology have been fathers, they have not been engaged in taking care of children," she said. In her new book, Nurture the Wow: Finding Spirituality in the Frustration, Boredom, Tears, Poop, Desperation, Wonder, and Radical Amazement of Parenting (Flatiron Books), Ruttenberg, a Chicago-based rabbi, returns once again to the treasures of Judaism that had sustained her for so long and shows how they can "illuminate the work of parenting -- the love, the drudgery, the exasperation, all of it." Because Nurture the Wow, which reads like a parenting guide grounded in Jewish thought and wisdom as told by a friend who is in the midst of it herself, goes so far as to say that the act of parenthood is nothing less than an act of spirituality. "I went looking for ways to speak to my exhausted, crazy-making, blissful, confusing experience of being a mother and I came to the conclusion that parenting can be a legitimate spiritual practice in its own right. It can change who you are and how you are in the world," she said. 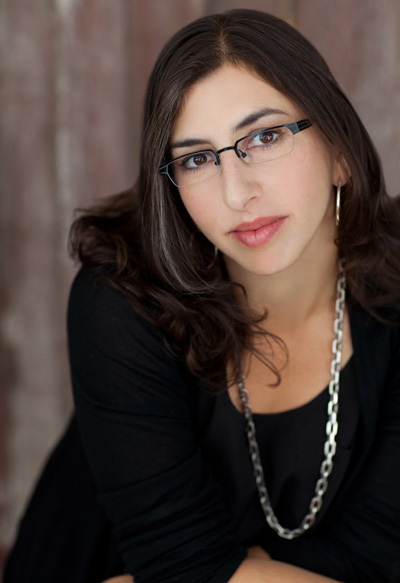 Ruttenberg, who has been named by Newsweek and The Daily Beast as one of 10 "rabbis to watch" and one of the top 50 most influential women rabbis, is also the author of Surprised By God: How I Learned to Stop Worrying and Love Religion (Beacon Press), and the editor of numerous anthologies. She received her rabbinic ordination from the Ziegler School of Rabbinic Studies in Los Angeles, and is currently Director of Education for Ask Big Questions, an initiative of Hillel International, and a rabbinic consultant to Hillel International. She and her husband, a professor at Northwestern University, have three children ages 7, 4 and 7 months. Currently on sabbatical in Israel, they will return to the Chicago area over the summer. With "Nurture the Wow," Ruttenberg foresees her primary audience as parents of young children those who are in the thick of the crazy years. "Hopefully, I've given them a framework and ways to think about what they're going through in a more thoughtful way so that they have a few extra resources when the tantrum starts," she said. But she also hopes anyone "inside the Jewish conversation" also picks up her book. "I think of what I'm doing as feminist theology," she said. "I want to talk to them about what it means if we take parents of all genders and take their experiences seriously and incorporate that into our conversation about what Judaism is." Because Ruttenberg feels that raising children -- and everything that goes with it, from the profound to the mundane and everything in between (including moments of despair) -- is just as spiritually enlightening as the most zenful meditation practice. "Individual parents need to understand their parenting as a spiritual practice and we need to shift our culture in how we think about it," said Ruttenberg. "Because if you go deep enough in your parenting it will take you everywhere. The transcendent love that you feel for your child can take you to the doorway of the holy. It will take you all the way." Abigail Pickus is a Chicago-based writer and editor. Jack Yonover is quite an impressive and articulate eighth grader. Two years ago, Yonover, who is allergic to pistachios and cashews, came up with the idea to make a documentary for his bar mitzvah project reflecting on the fears and frustrations of living with food allergies. A self-starter and an aspiring filmmaker, Yonover raised $10,000 to fund That Bites! through a crowdfunding campaign. The Wilmette native took lessons at Chicago's FACETS Multi-Media film school to learn the basics of documentary filmmaking and learned to edit film from the geniuses at the Apple Store. Then, for Chanukah, his family bought him some movie-making equipment. 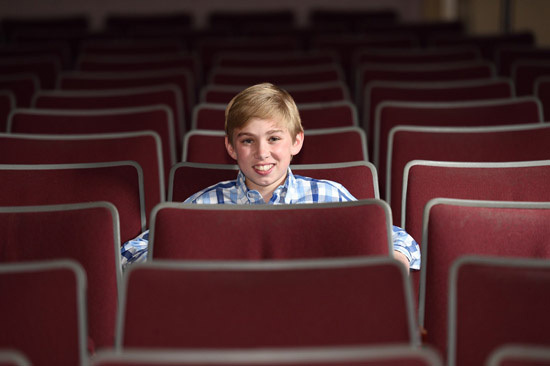 Yonover says he hopes his film helps other kids, like himself, who struggle with allergies. "I know that when I was diagnosed with my allergy, if I had seen my movie, the first few months of living with a food allergy would have been a lot easier," he said. His film is about to get a much wider audience when the third annual JCC Chicago Jewish Film Festival opens March 10. The documentary is one of 18 Jewish-inspired films that will be screened at the festival, which runs through March 20 in Chicago and the suburbs. "We have such a fantastic selection of films," said Addie Goodman, chief advancement officer for JCC Chicago. "There really is something for everyone -- documentaries, shorts and feature-lengths -- stories that will make you laugh, cry, be inspired, learn, and love. 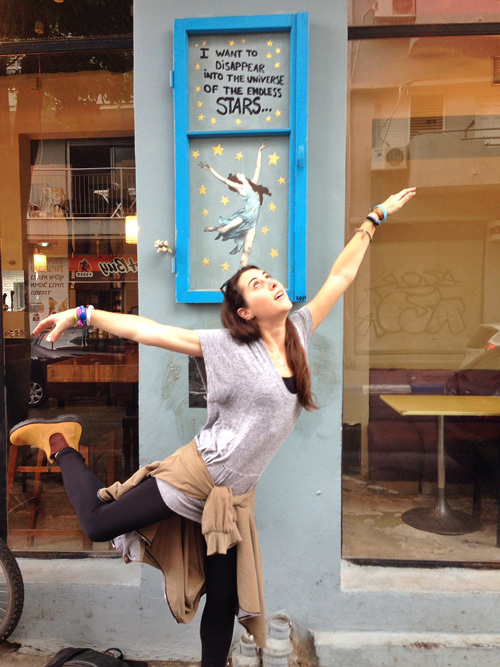 The film festival celebrates great art and powerful storytelling all through a Jewish lens." In addition to Yonover's documentary, two other festival films specifically relate to the Chicago community -- Surviving Skokie and Breakfast at Ina's. Surviving Skokie, created by the son of a Holocaust survivor, chronicles how the quiet existence of hundreds of survivors is disrupted when a neo-Nazi group announces plan to march through town. For lighter fare, Breakfast at Ina's tells the story of Ina Pinkney, a.k.a. Chicago's "Breakfast Queen," who decided to close her iconic West Loop restaurant after more than 30 years of feeding Chicagoans. Some of the festival films drawing buzz include the quirky documentary Very Semi-Serious, which examines the humor, art, and genius of The New Yorker cartoons; the British dramedy, Dough, chronicling an old Jewish baker whose floundering business is saved by a young Muslim apprentice; and Felix and Meira, a cross-cultural love story, set in Montreal, between a Hasidic woman and a secular man. Also, Every Face Has a Name captures the first free steps of Holocaust survivors docking in Malmo, Sweden, while It Happened in Saint-Tropez is the French romantic comedy filled with mix-ups and betrayals involving a family of opposites. The films, targeting ages from kids to adults, will screen at eight venues around the city and suburbs, including additional screenings in private homes upon request. "What we're looking for with the festival," Goodman said, "is the opportunity for our community to connect, dialogue, think, and really be inspired by film." For more details on the JCC Chicago Jewish Film Festival, visit www.jccfilmfest.org. JCC is a partner with the Jewish United Fund in serving our community. Oy! You haven't written your online dating profile yet? As bubbe would say, "You're not getting any younger, sweetheart!" This is before the requisite cheek-pinch, of course, and a nice chat about "your figure." 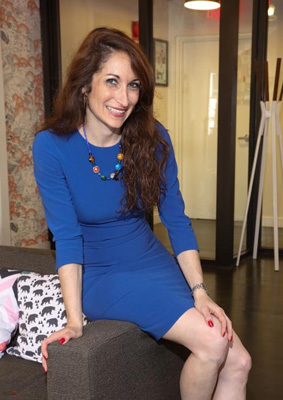 To help you plan accordingly and give you tangible, useful advice, we recruited Erika Ettin, founder of A Little Nudge and JDate's leading online dating expert, for this edition of the Chai List, and she graciously agreed to bless our readers with her wisdom. So, whenever you're ready to take the leap and either subscribe to or update your online dating profile, causing every Jewish mother around the world to yell "Hallelujah!" here are 18 tips for your Jewish online dating profile. 1. Make sure your photos are representative of you, especially the first one. 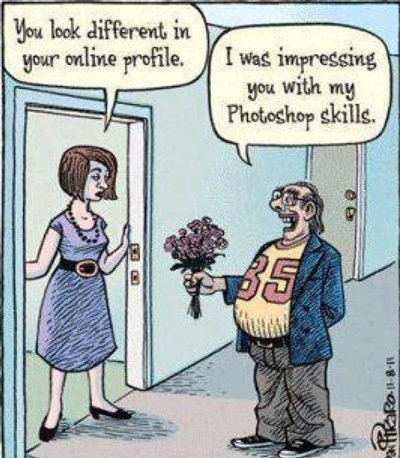 Better to have someone meet you in person thinking, "He/she is much better-looking than the photos!" rather than "Those photos were a lie … or taken five years ago!" On that note, also include a full-body shot of yourself. When people don't have enough information (i.e. what you look like below the neck), they assume things, and often they assume the worst. 2. Less is more when it comes to photos. People will look for the one bad photo (um … the one after all four glasses of wine on Passover?) and decide to write you off, not write you a message because of it. Three to five photos are recommended. If you couldn't tell, photos are really important. Blurry photos do not help anyone else, and they do hurt you. They make people wonder if you're hiding something. Many people have no idea what to say in the initial email, so give them something to comment on, or "message bait." Ideas: you in your Queen Esther costume, you making a delicious loaf of challah, you doing underwater basket-weaving. 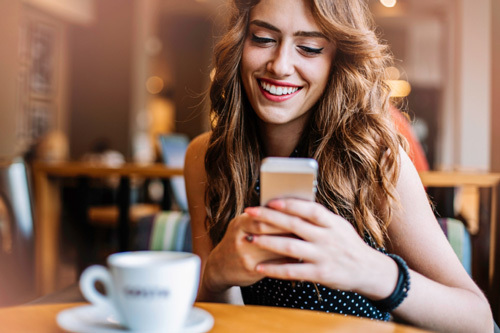 Many people think that writing an online dating profile is a one-time job, and they rarely change it based on its success (or lack thereof). They also try to write it as quickly as humanly possible. But this is one thing that you really should spend your time on. You are putting yourself out there for the world to see, so put your best foot forward! 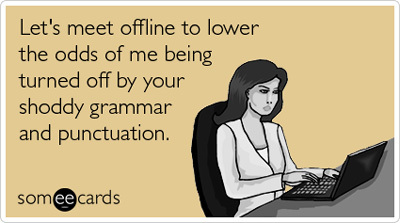 And don't forget to proofread. If someone uses "your" incorrectly, I don't assume carelessness; I assume stupidity. And you're (probably) not stupid! Try not to bore someone to sleep a la last year's Kol Nidre sermon, or sound just like everyone else. Make the first line memorable and interesting. "Need not apply" need not be in your vocabulary. If you're looking for someone Jewish, that's great! Don't, however, tell people not to bother contacting you if they're not. Plain and simple, it's rude. You can make your preferences known in other ways, either in the check-box questions that most sites ask or by saying something positive instead of negative: "I'm looking for the soup to my matzah ball." Anything over three paragraphs on a "traditional" online dating site like JDate is much too long. And on the apps (i.e. JSwipe), short and sweet -- and quirky -- is the key. If the stranger sitting next to you on the L might have been able to write the same exact profile, then it is too generic, and it's time to spice it up. On that note, avoid what I like to call "empty adjectives" such as "smart," "funny," "attractive," and "loyal" that are subjective and cannot be proven until someone gets to know you. Your profile should be representative of you today, not the you in your head, who we know is a rock star. People ask all the time, if I say this thing that's really important to me (religion, children, etc. ), will it scare people off? Sure it will! But those people are meant to be turned off. You'll be turning on the ones who agree with your values and/or appreciate your honesty in what you're looking for. Are you looking for someone Jewish, and only someone Jewish? Why would you not join JDate then? That's not to say plenty of other sites don't have quality MOTs, but if something is a deal-breaker for you, then go to the place where it's one less thing to screen for. Also, just for giggles, here's a fun fact: JDate's parent company is called Spark Networks, which also owns Christian Mingle. Last year, Spark sued JSwipe for its use of the "J." Then in October, Spark bought out JSwipe for a whopping $7 million. Writing a great online dating profile is only half the battle. (Sorry!) The other half is being proactive, and we do that through searching and messaging people we like. Don't forget that the point of online dating is to get to the in-person meeting. Do this sooner rather than later. No one is looking for a pen pal, and people have short attention spans. Once you reach out to someone or mutually like someone, schedule the date within the week, if possible. Use the manners your nice Jewish mother taught you. Be prompt, say please and thank you, and smile. People sometimes forget that dating should be fun. You have to date to get into a relationship, so try to enjoy the act of meeting new people along the way. Erika Ettin is the founder of A Little Nudge, the preeminent online dating coach in the U.S., and "the new voice of online dating." A Little Nudge has been profiled on NPR, the Washington Post, WUSA9, and AskMen.com. Erika is also JDate's leading expert, has been a featured columnist on Philly.com, and her weekly column syndicated through the Chicago Tribune. Her book, Love at First Site (available on Amazon), has also received high acclaim. Toward the end of last year, Ashley O'Brien put her love of Hebrew, rap lyrics, puns and graphic design to good use by starting Hebrewish Designs, an Etsy shop that quickly went viral on Twitter, Instagram and beyond. What started off as the source for pizza money has quickly grown into something much more. I had the chance to chat with Ashley about her designs, motivations, love for Israel and how all of these elements were combined to create something that we all need -- even if we never knew we needed it. 1. Why did you decide to start Hebrewish Designs? I started this as a side project to create things for my friends and myself that I thought were funny, (at times maybe even hilarious), but, more seriously, as a way to learn Hebrew. I began taking formal Hebrew classes this year to learn the language and I would come up with ways to remember words, letters, or phrases by putting it into songs I knew or phrases I liked. I kept a running list as I continued to learn, and had more and more fun learning the language, as I did this. About a month ago, I decided to play around with some graphic design ideas I had, and I thought they looked pretty good. I never really had any intention of making money or turning this into a business. I put a few designs up on Etsy because I already had the designs made, and figured maybe I could make an extra $10 a month and buy a pizza or something. Actually, it was just to buy pizza, ignore the something. A few big accounts picked up my stuff right away, so I just kept posting! 2. What's the process like for you when creating new designs and thinking of new ideas? What inspires you? There is absolutely no method to the madness. I'll be listening to a song in traffic, responding to emails or anything, and I'll hear a word or phrase that will spark the next design. The most challenging part of the process is just writing down ideas and trying not to forget where I put them (shout out to Siri and the default iPhone notes app, post-its, and Chicago parking receipts!). Other times, I will come home after work and just try to brainstorm 10 or 20 ideas, and maybe I'll end up liking one or two of them. Once I think of an idea, I pretty much have a vision in my head immediately of what I want it to look like graphically. And for those who know me, just putting what I envision in my head into something other people are able to understand is a huge success story in and of itself. I am pretty much inspired by everything. I started this with rap and hip-hop lyrics because I love it, but there's also a natural rhythm that I think works really well with Hebrew. I also like to challenge myself and have designs from all different genres of music, different quotes that I've reworked, and even influences from other areas of pop culture (mostly just Friends, but like I said, there is no limit to the inspiration). My mind is constantly moving in 8,000 different directions, so it's incredibly rewarding to stop when I hit on something I like and create something that I'm proud of from it. 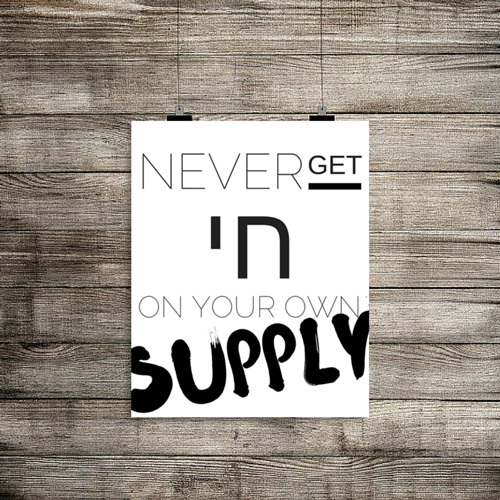 Once I put a listing up on Etsy, I let my mind keep moving. Maybe this is a method, but I know for sure it's some sort of madness. 3. What has the experience been like thus far and what has been the highlight? I'm just having fun with it for now. I enjoy creating things that I think are fun, funny, creative, and different, and hope that there are others out there that have a similar unique sense of humor/hip-hop lyrical knowledge. Also, no, I will not apologize for using the phrase "hip-hop lyrical knowledge." Next question. Oh, and as for the highlight, thus far -- definitely getting retweeted by Yeezy. That was pretty awesome. Also, I'm assuming this won't get posted for a few days after this conversation, so I think it's fair to say that highlight will *probably* have happened by the time this is published. Whatup Yeezus! 4. Your designs started to go viral pretty quickly on social media. How have you continued that momentum? I'm #blessed with the inability to get a full night's sleep. Some call it insomnia; I call it extra time to tweet and instagram and hope that people will share my stuff. Twitter and Instagram have been very successful at getting my designs around to people all over the world, and it's awesome when I get to send prints over to Germany or Australia. I'm not putting myself up there with "The Dress" and "Pizza Rat" yet, but I don't plan to stop creating or posting any time soon. I guess what I'm trying to say is, it's been awesome connecting with so many people around the world, the dress was definitely white and gold, and I hope Pizza Rat is safe at his subway home enjoying a slice with his rat friends and family. 5. 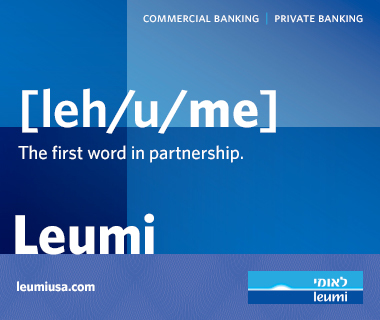 When did you first feel a connection to Israel and how has that progressed? I grew up at Camp Chi, a Jewish summer camp in Wisconsin. As a kid, it was the only Jewish thing I did all year. I credit Chi for providing me with a foundation for experiential Israel education and Israel-based experiences. It was through Chi (and my friends at Shorashim) that I even had a desire to go to Israel, but the first time I actually "got" Israel was when I went to visit. The history, the culture, the music, the food, the language, the -- vibes? I love every part of it. How has it progressed ... I ate Bamba for lunch today. That last sentence is true, and also a metaphor for my current place in life. I think I should have been born in Israel. Ugh, my mom is going to read this and call me as soon as she sees that last sentence. I'll keep going back to Israel to visit, and my goal is to make it there at least once a year. It's addictive, being there. But, maybe that's just the Bamba talking. 6. 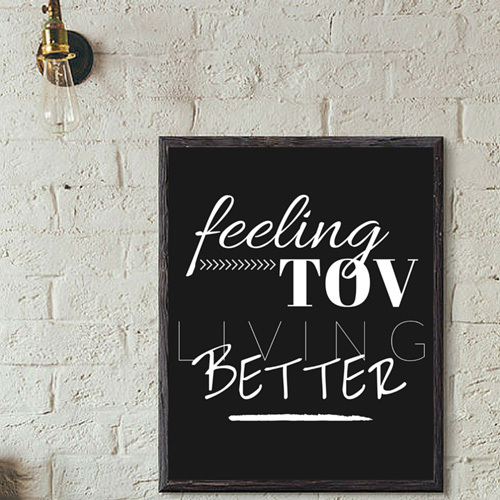 How has your experience been learning Hebrew? How do you foresee this progressing? 7. What's your favorite "Jewish" food? Once this is online, I'll be sending it to my grandma, so I have to say my favorite Jewish food is anything she makes (Grandma, please send rugelach and matzo ball soup to Chicago!). In 'addition' to my Jewish grandmother's authentic cooking, I consider myself an expert on the Israeli snack/candy market. My absolute favorite snack this time of year is Krembo. Also, if anyone knows where to get authentic shakshuka in Chicago, PLEASE let me know. Todah rabah! 8. What's your favorite Jewish thing to do (or how do you Jew?) in Chicago? I enjoy spending Friday nights with my friends and favorite local Chicago band: Rod Tuffcurls and the Bench Press (Bud Light L'Chaim!). We particularly enjoy their mash up of "Hava Nagilah" and "500 Miles" by The Proclaimers, and our night is only complete with a pizza oneg at Dimo's.